Developed by request, this new blend is a win win! Thank you once again to another customer who has tired of settling for what is out there and seeks to create that perfect blend of skin food for the face. 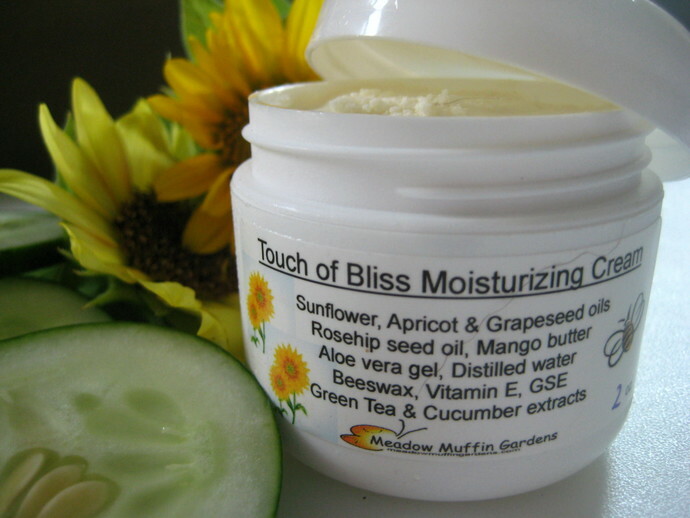 The base oils used are sunflower oil, grapeseed oil, apricot oil and rosehip seed oil. These are a good alternative for those with nut allergies. 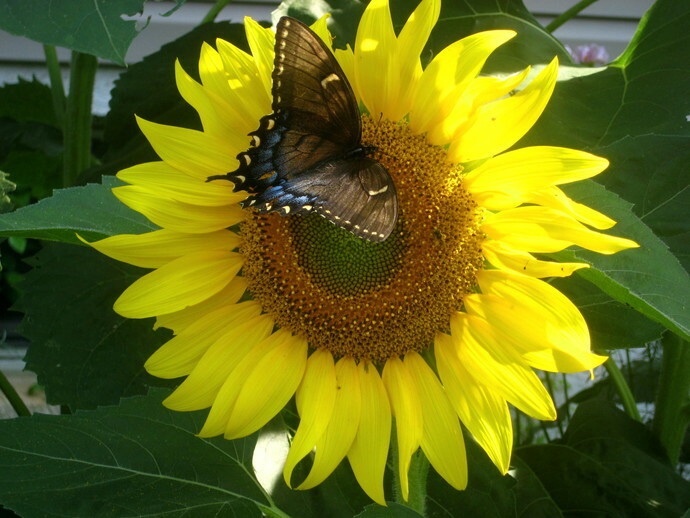 High in essential fatty acids, sunflower seed oil is a good choice for those with dry, sensitive, mature skin. Grapeseed oil is a very light oil with virtually no odor and known to be nonallergenic. Apricot kernel oil contains a good source of antioxidants Vitamins A and E, and linoleic acid and oleic acid, which are essential fatty acids. Rosehip seed oil can often be seen in products advertised for maintaining a youthful appearance. High in Vitamin A, Vitamin E, and essential fatty acids, this precious oil is very effective for healing and rejuvenating dry or damaged skin. It is a very gentle hydrator which means it quickly penetrates skin. Mango butter is a bit new to me but the results are wonderful. Traditionally used in the tropical regions to soften and soothe dry skin. Besides being rich in fatty acids and antioxidants, mango butter is non-comedogenic, which means you don't have to worry about it clogging pores. Ideal for any skin type, even those who have to deal with skin conditions can benefit. Aloe vera gel is included in all of my cream recipes. It is soothing, astringent, cooling and refreshing. This is my first cream to use plant extracts. A plant extract is a substance or an active with desirable properties that is removed from the tissue of a plant. 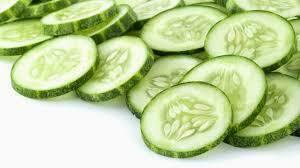 Cucumbers are often used as a home remedy because they are naturally cooling and astringent. Using fresh cucumber slices to sooth tired eyes is well known. High in ascorbic acid which is vitamin C, cucumbers can help sooth skin irritations and reduce swelling and inflammation. Green tea is another home remedy often used for soothing skin issues or tired eyes. Reusing a wet tea bag or the tea itself has brought relief for many a sunburn or irritated eyes during allergy season or lack of sleep. Green tea possesses antioxidants which by dealing with free radicals can help fight the effects of aging and improve the appearance of the skin. Available in a 1/2 oz., 1 oz. or 2 oz. jar, you choose at checkout.